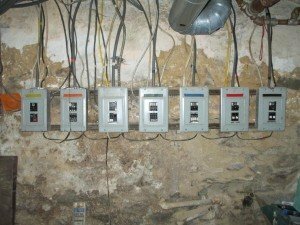 In our travels as electricians we see many violations that are a problem waiting to happen. This meter bank on the exterior of a multi Family unit is proof that you do not have to have a master’s degree in electricity to know that this installation is outdated and filled with violations. The main disconnect is severely corroded and the connections on the inside are as well. 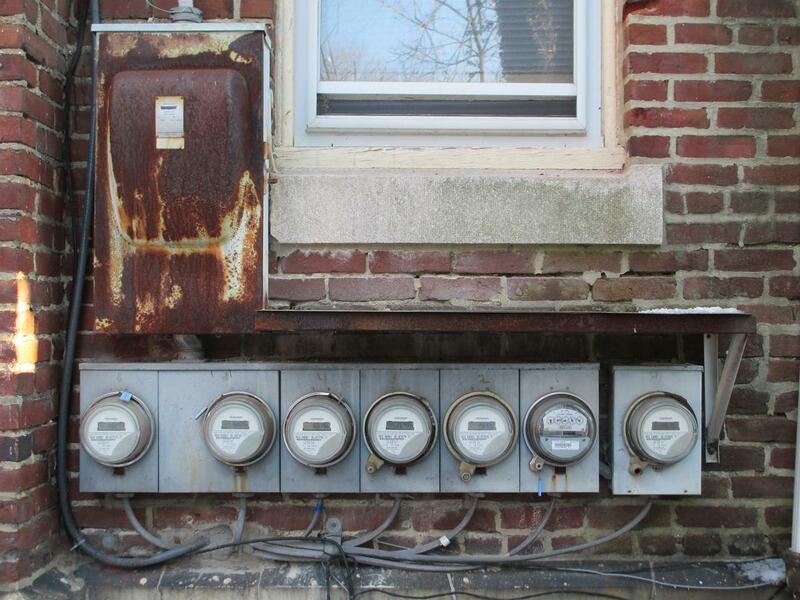 The seventh meter on the right was an afterthought and double tapped to the original meter bank. The cables entering the property are not protected from physical damage. Once we enter the property we run into additional problems. 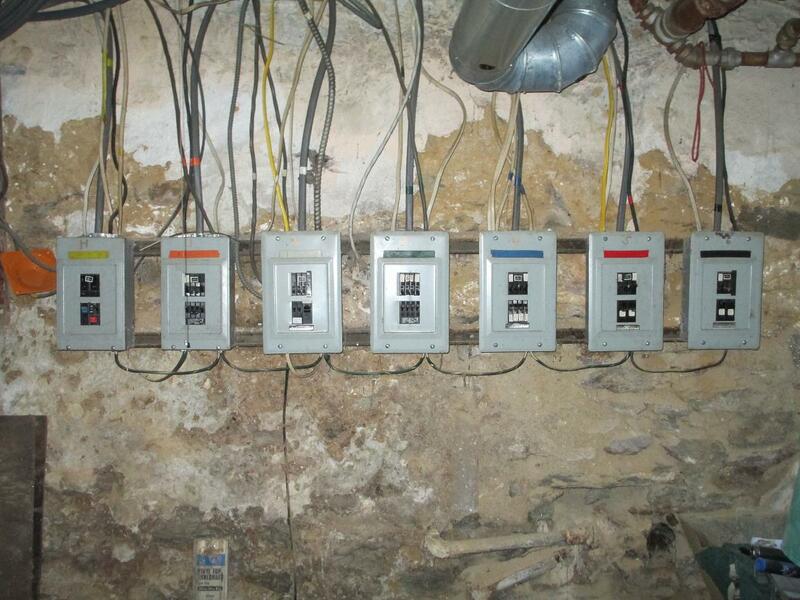 The image shows a bank of undersized panels over extended and double tapped breakers. It is hard to believe that this service is still up and running. 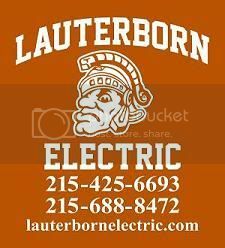 Let your licensed electrician Lauterborn Electric evaluate your service if you have concerns.